On December 18, 2013, USARK filed a complaint against the U.S. Fish and Wildlife Service (FWS) and Interior Secretary Sally Jewell in the Federal District Court for the District of Columbia. The complaint alleges that the Defendants’ listing of four species of constricting snakes as “injurious” under the Lacey Act was unlawful. Under federal court rules, the government has 60 days after the initial filing to answer a complaint or otherwise respond. Generally, within 30 days after an answer or motion is filed, the government must produce what is known as the “administrative record.” The administrative record is a set of documents that include the rule, public comments, analyses conducted, studies relied upon, communications, etc. Shortly after the initial sixty day period ends, the court orders the parties to confer and jointly propose a plan for moving the case forward. In a regulatory challenge such as this, the case is argued through briefs in which each side explains why, under the law and facts in the administrative record, the court should rule in their favor. This process is known as “summary judgment.” There is no trial, but the court often will hold oral argument. Briefing (documents are presented laying out arguments). USARK files a “motion for summary judgment” (arguments as to why the agency violated law). FWS files an opposition and its own motion for summary judgment. USARK files a reply brief and opposition to the government’s motion. Decision (judges have no timeline for rendering a decision). What claims has USARK made? FWS exceeded its authority under the Lacey Act by banning interstate transportation of the listed snakes among the continental states. Two claims of alleged violations of the National Environmental Policy Act (NEPA), which requires agencies to take a hard look at the impacts of a federal action. The first claim alleges FWS did a legally inadequate analysis and the second claim challenges FWS’ decision not to prepare a full environmental impact statement. Finally, USARK alleges that the listing itself is arbitrary and capricious. Win on Procedure: USARK has alleged FWS violated NEPA (National Environmental Policy Act) and did not provide a rational basis for its listing decision. These are procedural challenges since they involve questions on the agency’s actions, but do not implicate its legal authority to act. Victory on these counts typically results in a court vacating the rule and returning it to the agency to start again and conduct proper analysis, should they choose to do so. When a rule is vacated, it is if it never existed. FWS may elect to try again or abandon the rule altogether. Win on Substance: The Lacey Act and other laws related to rulemaking define FWS’ substantive duties and limitations on its powers to act. Thus, USARK’s claim that FWS cannot ban interstate transportation of species listed under the Lacey Act is substantive. If the court agrees with us, then even if the listing is upheld, FWS cannot ban transport among the continental states (see “Specific Questions” below for more detail). The “arbitrary and capricious” claims are also substantive claims. They argue the reasons given for determining the snakes as “injurious” are not rational or supported by the scientific evidence in the record. If the judge agrees with USARK, then FWS cannot list the species unless it develops a lawful and supported new rationale. Substantive law defines the rights and duties of particular laws within a case. In contrast, procedural law defines the rules that must be followed in order to successfully try a case. Q: How can the Reptile community help? A: First, USARK has been gathering statements from its membership in all facets of the community that have been economically and otherwise impacted by the listing of the four species. Likewise, we have gathered statements from conservationist, researchers, academics, educators and others whose conservation efforts and research have been adversely impacted by the listing. If you have been affected by the listing of the four species (Burmese python, Yellow anaconda, Northern and Southern African Rock pythons), you may help by sending an email to info@USARK.org for additional information. A favorable decision on the Lacey Act’s scope and effect also benefits many others involved with species that could be listed in the future. Reaching out and getting other business, individuals, and organizations to provide financial assistance and otherwise assist with the litigation would be very helpful. Q: Can FWS simply reverse the original rule? If so, would this leave the Reptile community in limbo with all nine species? If so, what are the alternatives? A: The short answer is “no.” FWS can reverse the original listing only by conducting a rulemaking to remove these species from the list of injurious species. They are unlikely to do so in part because it would have to provide a logical rationale that essentially concedes it acted arbitrarily in the first instance. Q: What effect does this lawsuit have on the outstanding portion of the rulemaking to list the remaining five species? A: So far, FWS has made no move to finalize the listing of the five additional species. USARK’s contacts in Congress and various government agencies will provide some warning, and movement on the rule will be publicly known if and when FWS submits it to the Office of Management and Budget for review. 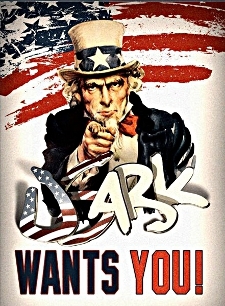 USARK will keep you all apprised of any real developments. Because FWS moved the listing of Burmese python and the others first, the finalized listing has become legally distinct from the five species still pending. However, as all nine species were included in the same proposed rule and based on the same scientific record and NEPA analysis, any inadequacies the court finds with these in our case could also apply to these five. Further, given the lapse of time since the proposed rule and the new scientific information USARK informed FWS of in April of 2013, we believe that the agency must conduct a new comment period and new NEPA review before finalizing this rulemaking. Q: What does winning on the Lacey Act claims mean for the reptile industry? A: The Lacey Act prohibits importation into the United States and “shipment between the continental United States,” Hawaii, Puerto Rico, and the territories and possessions of injurious species. Based on its legislative history, plain terms, and prior interpretation, USARK believes the “shipment between” language means Congress did not intend to prohibit commerce within the continental U.S. If the court agrees, then any species listed could be sold within the 48 continental states and exported. Q: What sort of payment schedule is required? A: As the litigation schedule above shows, there is a substantial time lag between the initial filing and the government’s answer. USARK will accrue almost no litigation costs until the record is produced and briefing begins. USARK may elect either to pay the remaining fees as incurred or as a fixed monthly payment. Q: Why haven’t any claims been raised under the Information Quality Act (IQA)? A: There is no IQA count because courts have universally held that plaintiffs cannot sue under that law. Many have tried, all have failed. Q: Why isn’t USARK bringing a “takings” claim for the lost value to peoples’ businesses? A: The reason for not adding a takings claim is that they can only be brought in the Federal Court of Claims. Plaintiffs must elect between a takings case or the type of general administrative law remedy we are seeking here. We can’t do both. The case we brought has, by far, the higher probability of success. On the government’s side, it is quite possible that environmental advocacy groups may seek to intervene as defendants. When a party is allowed to intervene, they are full parties to the case with the right to file briefs, argue, and even appeal. For our side, if other groups wish join USARK and contribute to the costs, the complaint can be amended to add parties. Potential additional plaintiffs could include trade organizations, zoo and aquarium associations, and others who might have an interest in the question regarding the Lacey Act’s scope, such as airlines, transportation companies, or other businesses impacted by the limitation. Others may ask to be allowed to file amicus curiae, or “friend of the court,” briefs. Amicus briefs can be filed both by those supporting and opposing our claims. It would be helpful to be able to coordinate with anyone wishing to file on our behalf to avoid duplication and strengthen the overall case. Now is the time to be LOUD! This rule would allow USFWS to add species as injurious (making importation, interstate commerce and interstate transportation illegal) without full due process afforded under the law. This affects reptiles, amphibians, fish, birds, small mammals and a huge portion of the pet industry. Any species listed would disappear from the pet community. Spread this information to all pet owners and protect your freedoms. Wisconsin AB 703: This bill gives the Department of Natural Resources (DNR) rulemaking power (no public input) to add any species of animal as “harmful wild animal.” View the ACTION ALERT at www.usark.org/uncategorized/2014-wisconsin-assembly-bill-703/. It's time again for the biggest reptile show in Texas and it happens this weekend! Show promoters Bob Ashley and Brian Potter, along with the NARBC crew, raised over $100,000 last year for USARK and PIJAC. Thank you to all auction contributors for making this possible! There will be a benefit auction Saturday night so join us for a great time and hear Brian do what Brian does on the microphone. The USARK booth will have plenty of action including daily raffles, RAACA raffle tickets, shirts and booth mascots. Thanks for your continued support, NARBC.Important notice for Texas herpers: The TXARK Board of Directors will be holding a public meeting at 3:00 PM on Saturday at the show. 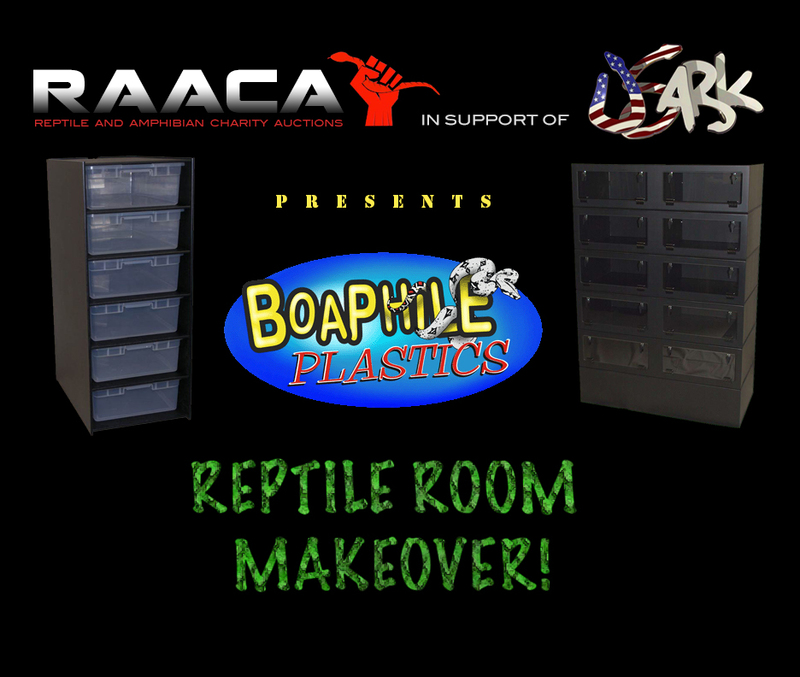 TXARK will allow you to better protect your freedom to keep reptiles at the state and local levels, and will also spread awareness of the herp community. Share Your Story: Help us out and answer: Why Reptiles? What is it about them that convinced you to get your first one? And why do you get enjoyment from keeping them?Your answers may be used in an article by Brandon Fowler. Please send your responses to Brandon at RoamingReptiles@gmail.com.